This dog loves to sunbathe! Followers please meet Frank, our gorgeous, loving and completely lazy new puppy! 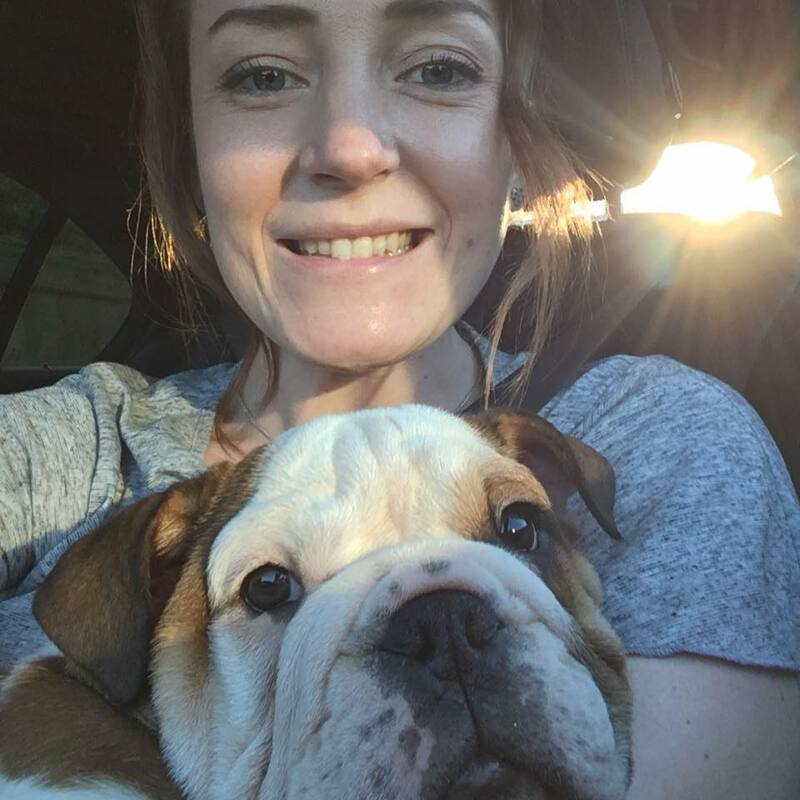 Life's been a little hectic over the last couple of weeks since we picked him up so im afraid FFE took a little bit of a back seat. But now we are all settled into some kind of a routine I am back. I had been annoying my parents for months about the idea of us getting a dog, it's been 4 years since we lost our beloved Dalmatian, Blake and there just seemed to be a massive void in our home. A space that could only be filled by the loving nature of a dog. I managed to get my mum on side at Christmas and the hunt began, however my Step Dad was the one who needed the persuading. He had said that having another dog was a complete NO before Christmas, however if im honest I just couldn't let it go. 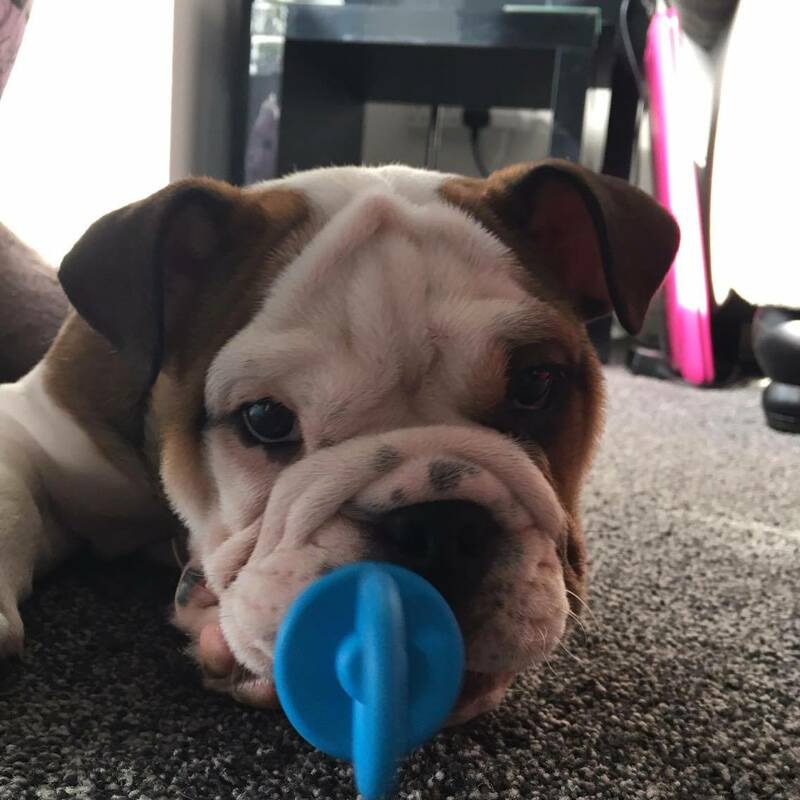 I knew our home needed a new furry member and he decided that we could get one providing everyone agreed on an English Bulldog. After months of searching for the right one, with some serious specific criteria (who knew picking a puppy would be such hard work) we came across a litter in Rotherham. We contacted the seller and were told they only had one remaining and that it was a boy, they had temporarily named him Clyde along with his sister Bonnie. That afternoon we decided to take a short trip to Rotherham to see if Clyde would be the newest member to our household. 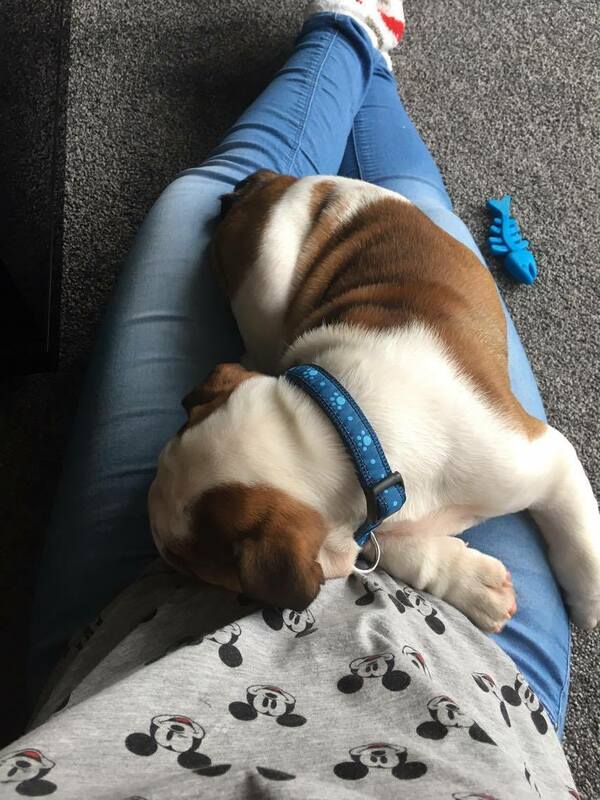 We fell in love, he was so cute and very loving, if im honest I dont think there was ever a chance of coming home without him. 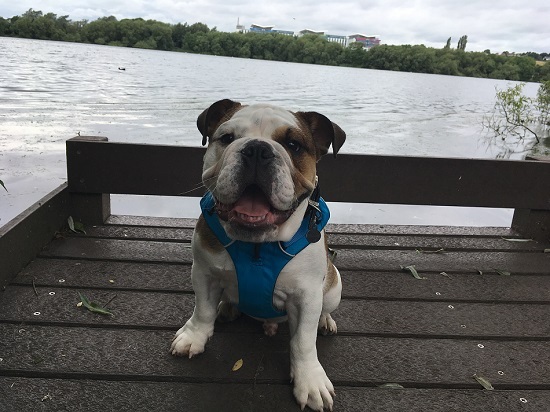 He has settled in tremendously well, he was a few days short of being 12 weeks old so it wasn't long before we could take him on "Short" walks. He's ridiculously greedy and cannot eat without making a complete mess not only on the floor around his bowl but all over his little face. The seller had warned us that Bulldogs require daily face washing - now we know why! At heart hes a big baby though, loves his cuddles and playing with his toys when hes not sleeping the majority of the day! He is soooooo LAZY! Big baby, please note this is a toy lol! This is how Frank spends the best part of everyday! Hes already the most stubborn dog I have ever known! Believe me if he decides he doesn't want to do something there is not a cat in hells chance your going to convince him into it. He dislikes loud noises including the Hoover and the lawnmower but its just the little things that make him unbelievably the best dog we could have ever decided to join our family! 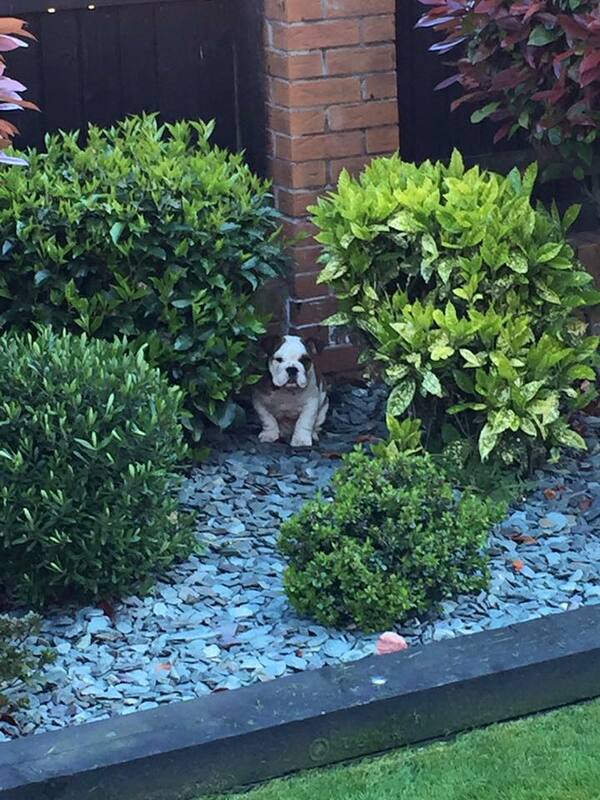 Picture shows Frank hiding from the Lawnmower!